You wake up each morning, eat your breakfast, then head to the sink to brush your teeth and give your grin a thorough flossing. You’re doing everything correctly, right? Maybe. The truth is, oral hygiene isn’t as simple as just making sure you brush and floss. At our West Caldwell dental office, we’d like to talk about a few common oral health mistakes and how to fix them. We love that fact you’re flossing, but it’s important that you’re doing it correctly. A common flossing mistake is pulling the flossing down between teeth and causing it to snap. According to the American Dental Hygienists’ Association, you should never snap floss between your teeth or it could damage gum tissues. Instead, use a gentle back and forth motion in between each tooth and up under the gum line. It’s natural to always scrub hard and quickly when cleaning pretty much anything. But your teeth are much different and deserve a gentler approach. Too much pressure while brushing can damage gums, cause them to recede, and even erode enamel. Enamel protects teeth against decay, and without it, your teeth are left exposed to dangerous bacteria. Try using small, gentle circles with your toothbrush angled at 45 degree angles. 3. Brushing Right After Meals. If all of our patients could brush after every meal, we’d be one happy dental office. But we understand sometimes it’s just not possible. In these situations, a quick rinse with water can help dilute acid and wash away food particles. But what if you can brush after a meal? By all means, please do. Just make sure you wait about a half an hour. Some foods that are high in acid weaken enamel immediately after consumption. 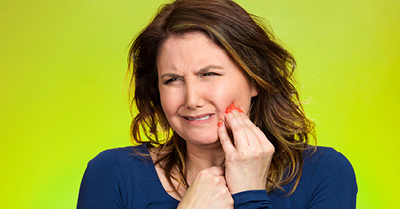 If you brush during this weakened state, you could actually do more harm than good. Just wait a bit then brush away. We know how important it is to brush our teeth. But what about the tongue? The tongue is covered with tiny grooves where dangerous bacteria love to hide. This makes a gentle tongue brushing each and every time you pick up the toothbrush extremely important. If skipped, tongue bacteria can cause some serious bad breath and even tooth decay. If you can’t brush your tongue without gagging, try using a tongue scraper instead. Following the proper guidelines of great oral hygiene is crucial for a healthy smile. But it’s only half of it. Maintaining regular visits to our dental office in West Caldwell is also incredibly important. Routine visits ensure there are no problems that may be caused by your at-home care and allow us to catch and treat any issue we may find quickly and more easily.